George (Jeffery Self), a narcissistic wannabe internet star, starts dating Joe (Matthew McKelligon), a monotone serial killer. While all of George's friends agree that Joe seems a bit strange, George claims his new beau "isn't scary, he's gorgeous." But as George's friends start to disappear, the remaining group decides to take matters into their own hands. Directed by Jim Hansen, creator of the viral video smash series "The Chloe Videos", this gay mixture of "Dexter" and "Gilmore Girls" blends witty banter, pop culture references and good old-fashioned murder. 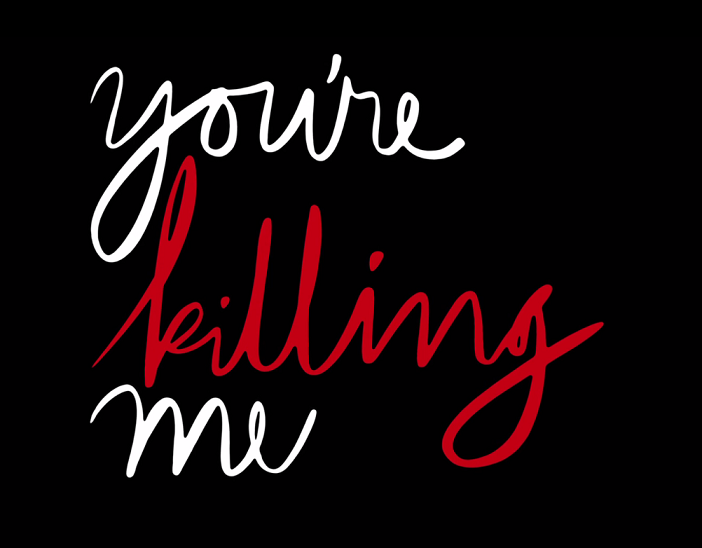 YOU'RE KILLING ME employs humor, camp, and razor sharp wit to tell a morality tale about self-obsession and our growing disconnection with the world around us. After sold out festival screenings and critical acclaim last year, the film is now available to nationwide audiences. Starring popular gay actor Matthew McKelligon (Interior. Leather. Bar., Eastsiders, and My Sweet Suicide), Jeffery Self (Logo's "Jeffery & Cole Casserole"), Drew Droege (The Chloe Videos), Mindy Cohn ("The Secret Life of the American Teenager"), and Edi Patterson ("Blackish," "Partners").